South America is a continent of many faces. With its extensive cultural history, ancient civilisations, breathtaking natural wonders and cosmopolitan cities, it is unlike any other destination on earth. 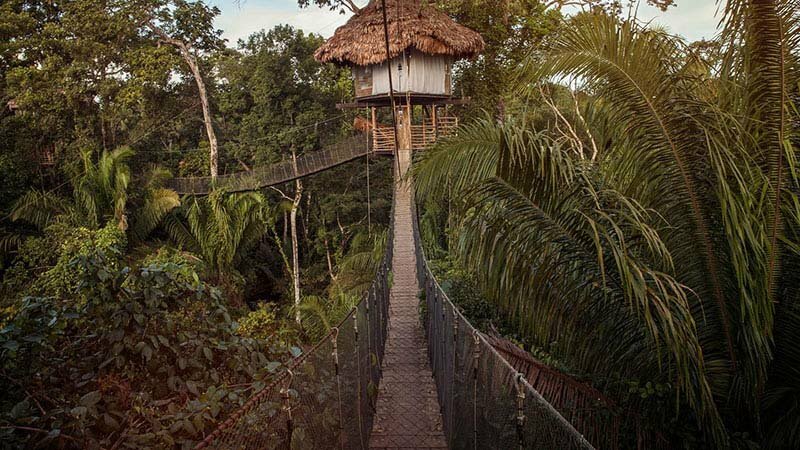 From the wild Amazon to Incan remains and carnival extravaganzas; the Latin continent provides for adventurous types as well as travellers who prefer urban city life. To aid your future travel planning, we’ve rounded up the best places to visit in South America. 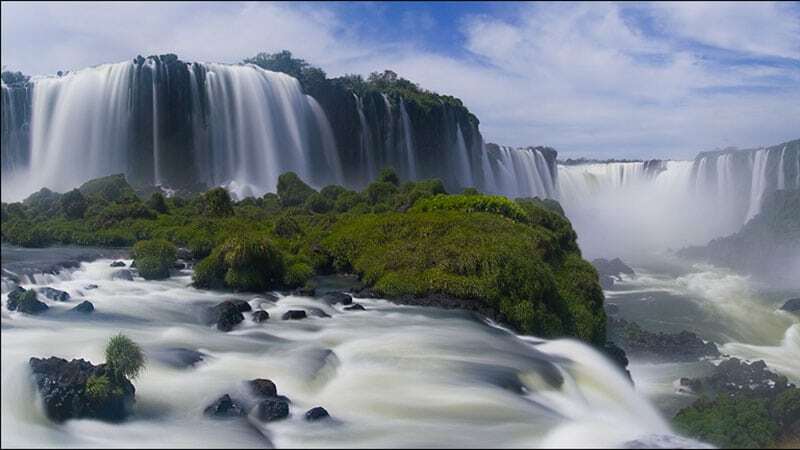 Iguazu Falls consist of more than 250 waterfalls embedded into the tropical jungle of Argentina and Brazil. To catch the best views, head to the Argentinian side. There you will be able to get especially close to the falls. 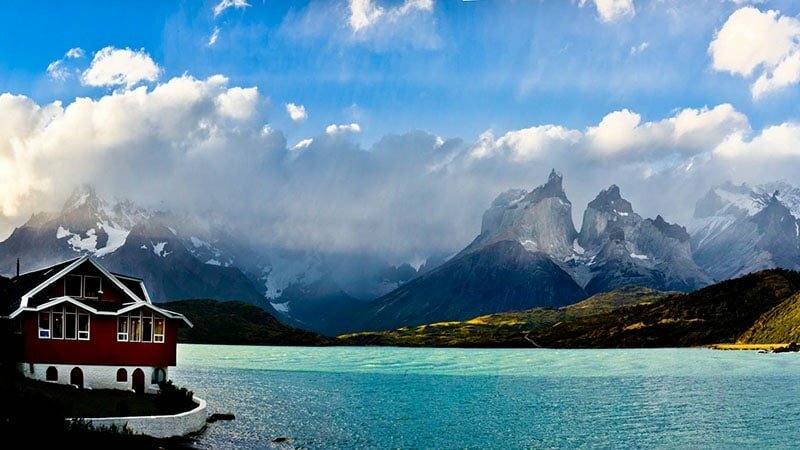 Torres del Paine is considered one of South America’s most stunning national parks. The Patagonian part of the nature reserve provides hiking aficionados with some of the most astonishing backdrops of emerald forests, crystal lakes, and stunning glaciers. Lake Titicaca is South America’s largest lake and home to numerous indigenous communities that have preserved the history and culture of the country. 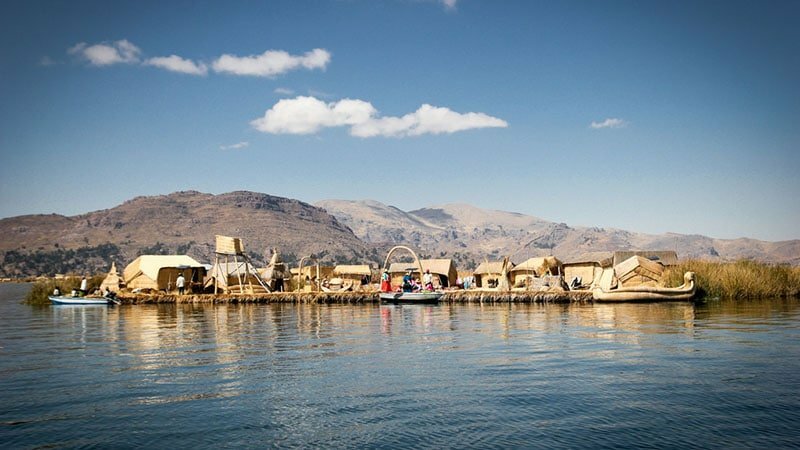 Take a boat to the floating islands of the Uros people, a cluster of 60 islands, where you can spend time with the local families. Machu Picchu remains one of the best-known and well-preserved archaeological sites of the ancient Incan culture. 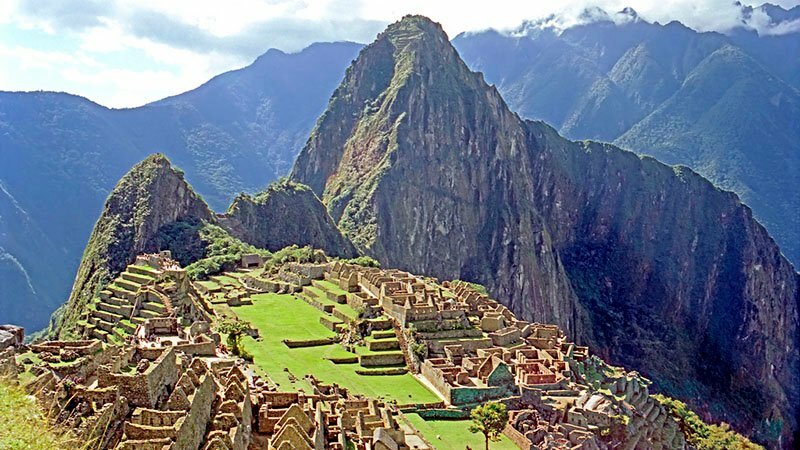 Hidden high in the Andes mountains, one can reach the city by hiking the infamous Inca Trail or just take the train. 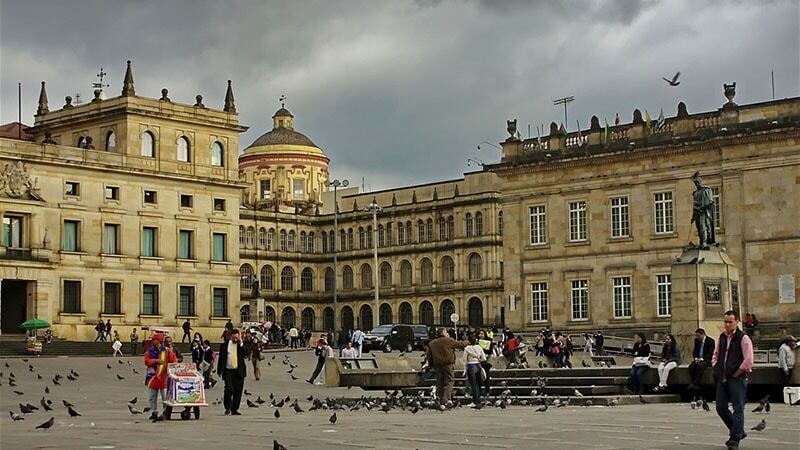 One of the most popular entryways to the Amazon is in Quito, Ecuador. Explore one of our planet’s unique ecological communities alongside some of the most diverse wildlife, including colourful birds, monkeys, jaguars, caimans, iguanas, and anacondas. 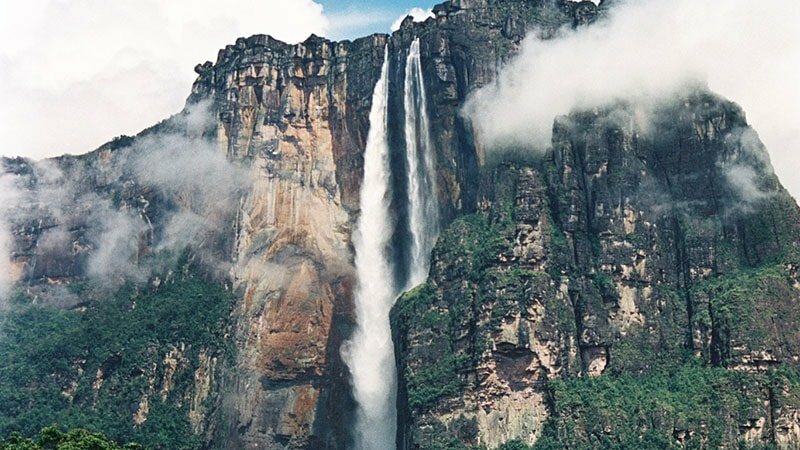 At 979 meters in height, Angel Falls is the world’s tallest waterfall. Located within the Canaima National Park, its remote location makes it a challenging sight to catch but one that you are unlikely to ever forget. 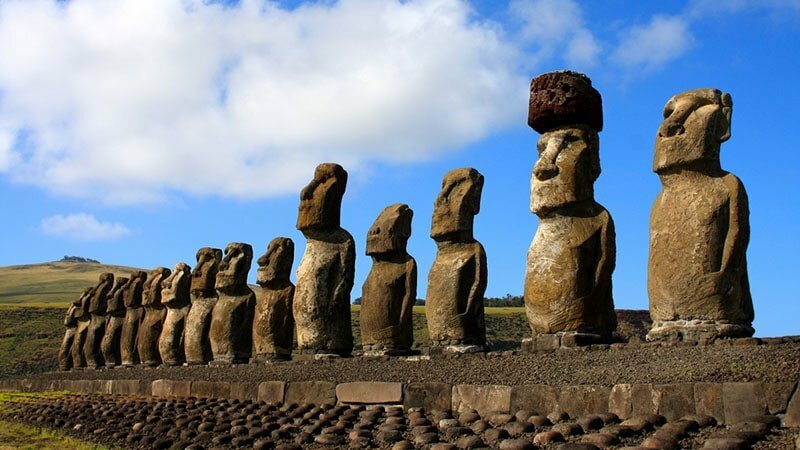 The Easter Islands in Chile are home to around 1000 monolithic statues that are scattered throughout the landscape. In addition to this piece of Polynesian culture, the island’s beaches provide travellers with excellent surfing, scuba diving and snorkelling opportunities. 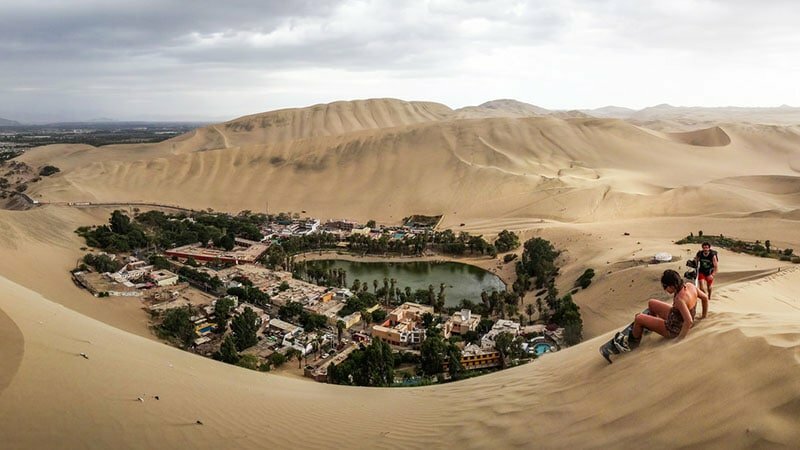 Huacachina is a magical, little oasis in the middle of the desert in the south of Peru. The small village features several resorts and restaurants around a turquoise lagoon and is surrounded by enormous dunes. 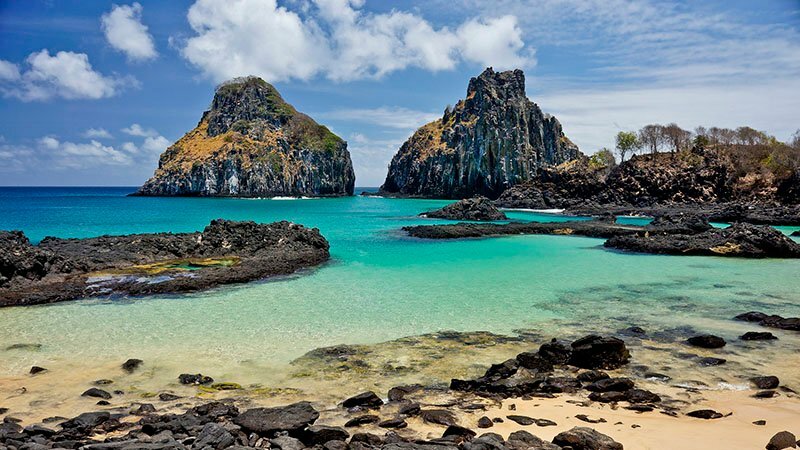 Fernando de Noronha is an archipelago of 21 islands located just north-east of the Brazilian coast. The main island only allows 420 visitors at a time, but once there, you are rewarded with a breathtaking seaside landscape. If you prefer to steer clear of mass tourist attractions, Asuncion will be your cup of tea. 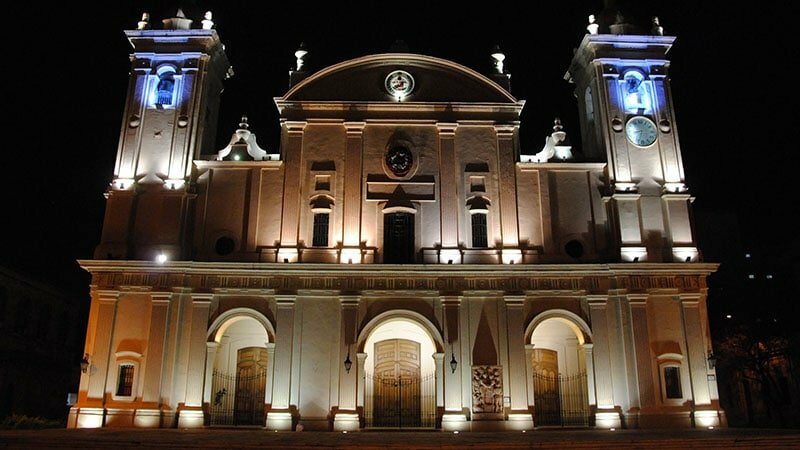 With 65 percent of the population being under 30, the Paraguayan capital offers a vibrant nightlife, a wealth of shops, markets and other cultural experiences. 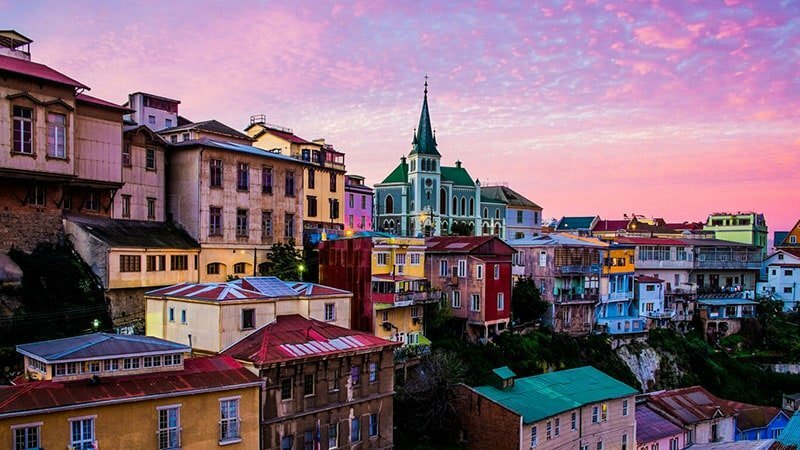 Another hidden gem is Valparaiso in Chile. This little seaside village is east of Santiago and boasts a multitude of cultural influences and a flourishing art scene. It was also home to renowned poet Pablo Neruda, one of South America’s most significant literary exports. When crossing the border from Ecuador to Colombia, you will end up in the town of Ipiales. 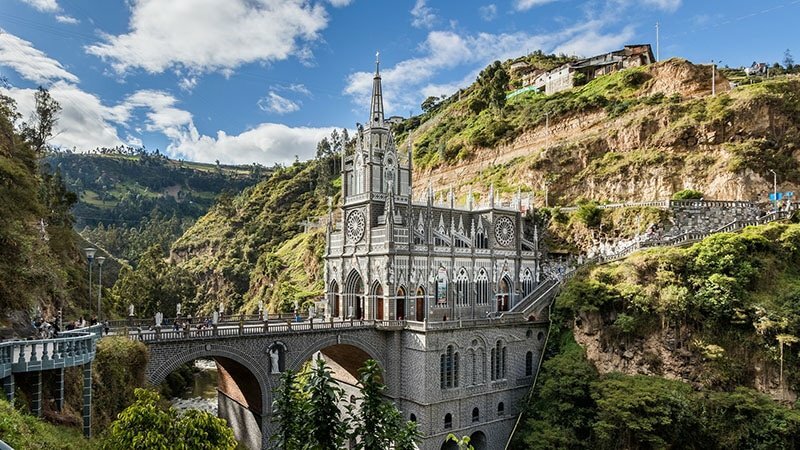 While there may not be much to see or do there, it will lead you to the Santuario de las Lajas, an awe-evoking neo-Gothic cathedral built on the bridge over the Guaitara River between 1910 and 1944. In addition to being one of the highest cities in the world, Potosi is also one of South America’s wealthiest cities, thanks to its silver mining history. 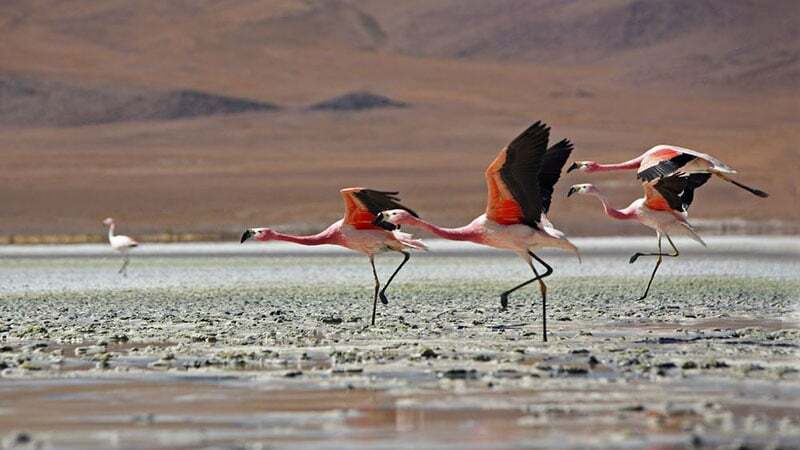 It is also the gateway to the world’s largest salt flat, Salar de Uyuni, and home to three different species of flamingos. 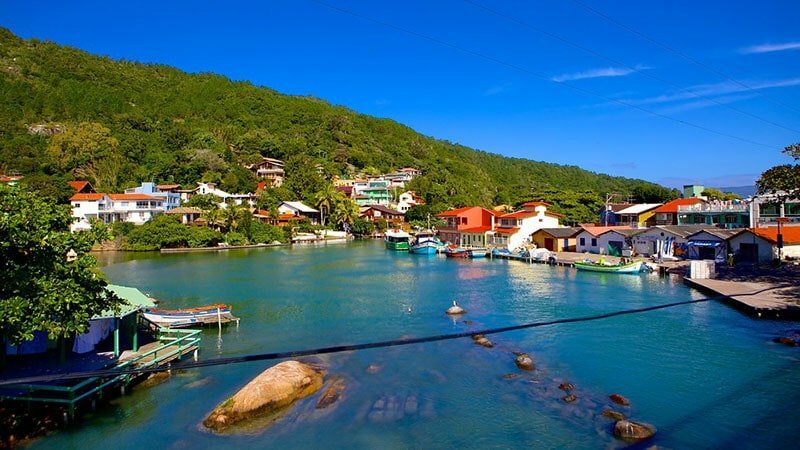 Dubbed “The Best Place to Live in Brazil”, Florianopolis is said to be a mix of St. Tropez and Ibiza, save the attitude and exorbitant prices. Thus, it offers not only a great party culture but also outstanding surfing conditions, idyllic beaches and fantastic seafood. 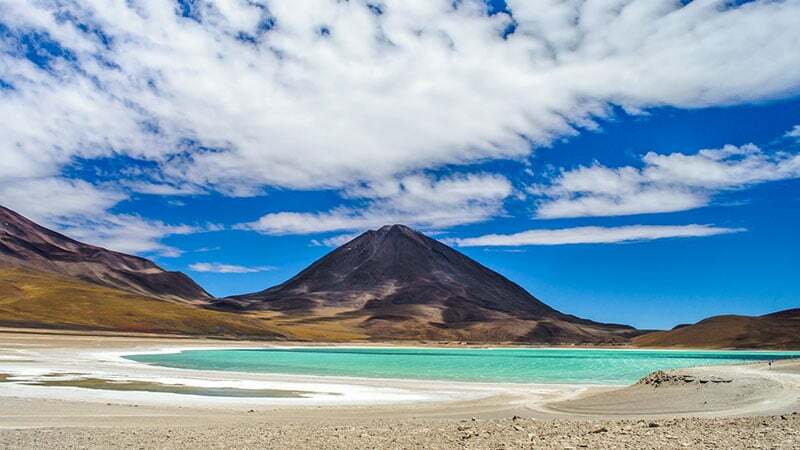 Laguna Verde is one of several striking water gatherings in the Bolivian countryside. Its colours vary depending on the lighting and weather disturbances. With the majestic Licancabur volcano emerging in the background, this lake is considered one of the most beautiful spots in the country. 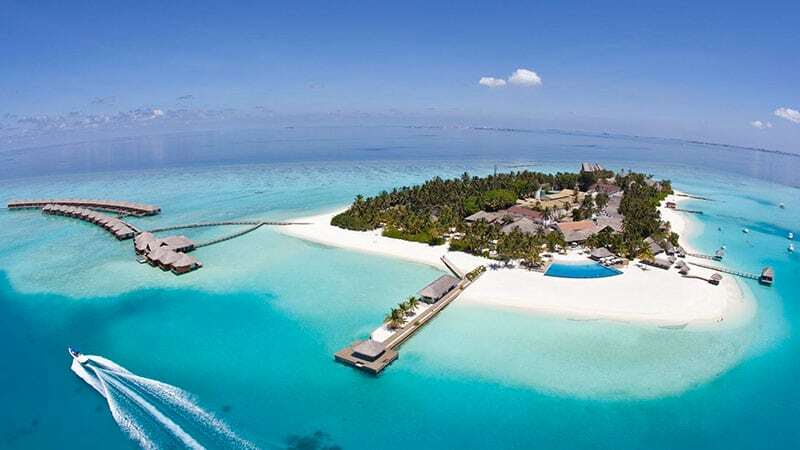 Los Roques is a national park made up of approximately 350 individual islands. Located 128 kilometres off Carcaras in the Caribbean, the waters surrounding this island paradise are home to 280 species of fish and nearly 100 different bird species. 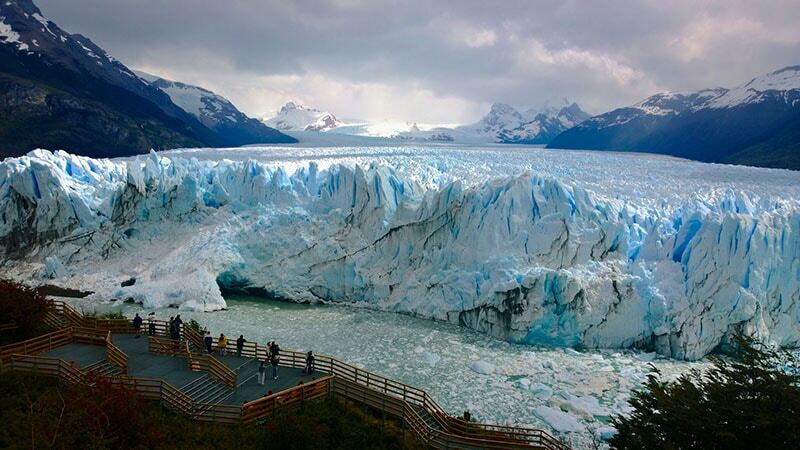 The Perito Moreno Glacier is known for the dynamic changes that result in ice falls from the front of the glacier. Between November and March, you can see enormous ice blocks breaking off as it melts. 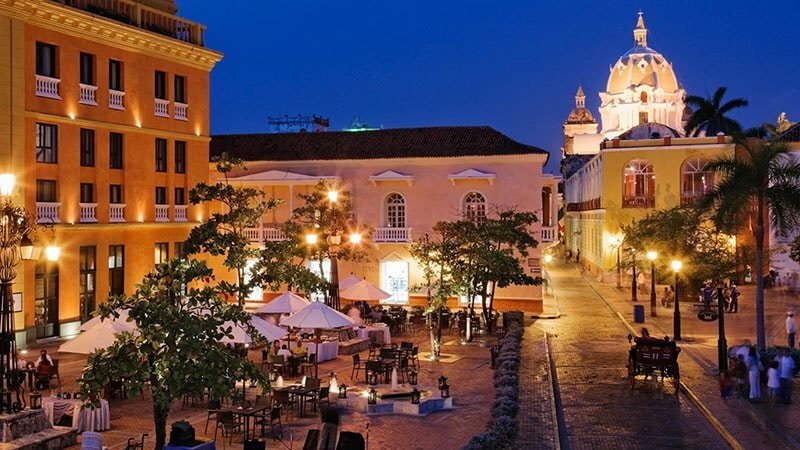 With its narrow cobblestoned streets, colourful architecture and horse-drawn carriages, Cartagena is a romantic getaway for lovers and culture enthusiasts alike. It is also a mecca for designer fashions and handcrafted accessories. 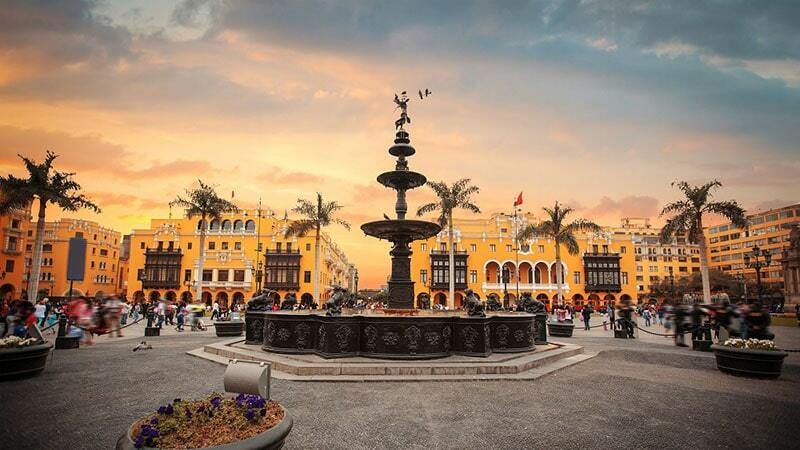 With its rich cultural history, Lima presents a feast for the eyes, soul, mind and stomach. The city is brimming with ancient archaeological sites and opulent architecture that hails from the Spanish colonial times. 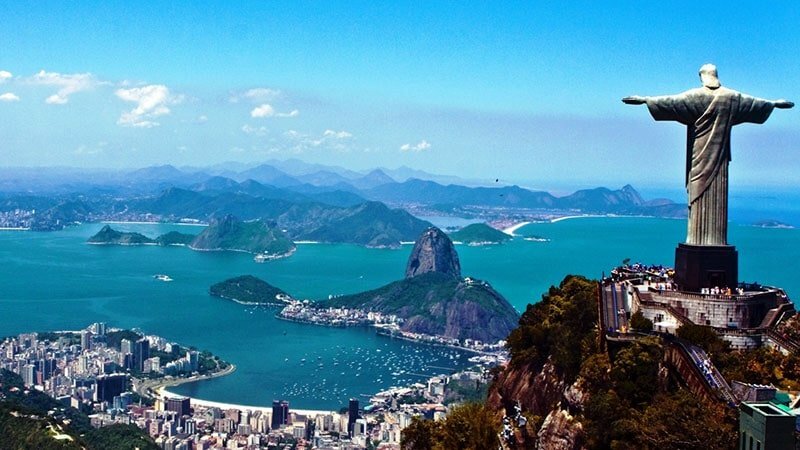 Rio de Janeiro is one of South America’s tourism hot spots. The city is famous for its statue of Christ the Redeemer, beach lifestyle, tropical countryside, and cultural history. 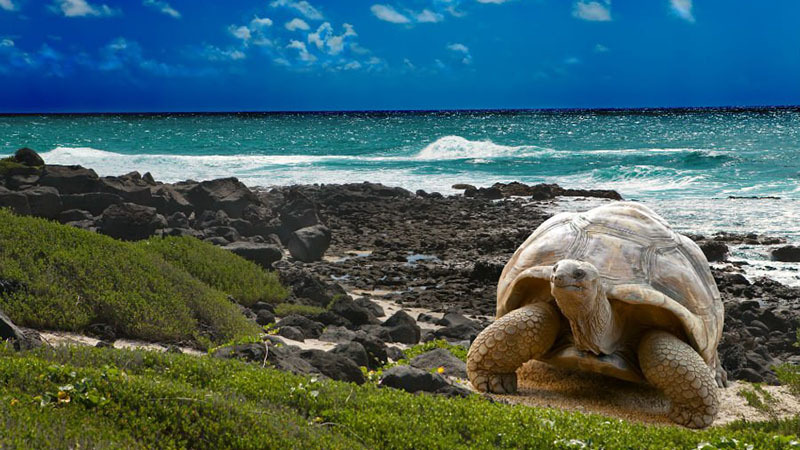 If you want to get up close and personal with some of South America’s most fascinating wildlife, the Galapagos Islands should be on your bucket list. Located 575 miles off the coast of Ecuador, this place is a utopia for nature lovers and snorkel enthusiasts. 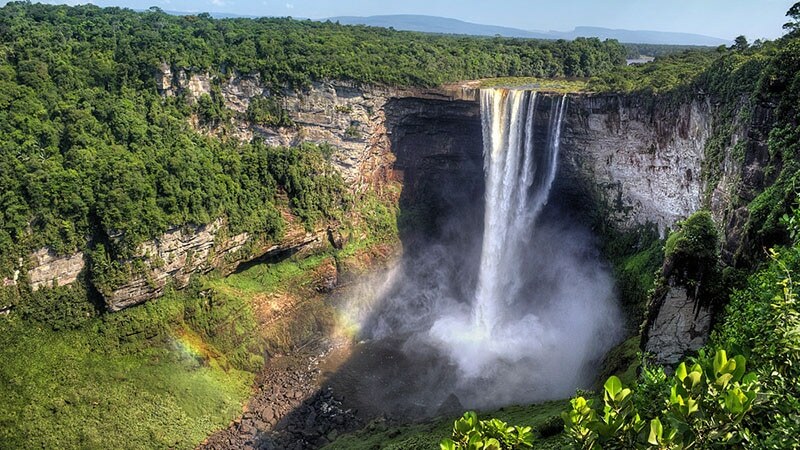 Due to the lack of infrastructure and tourism, the small nation of Guyana is an excellent target for those who like to explore. An unforgettable week-long hike through the Amazon will take you to Kaieteur Falls, the world’s tallest single drop waterfall. 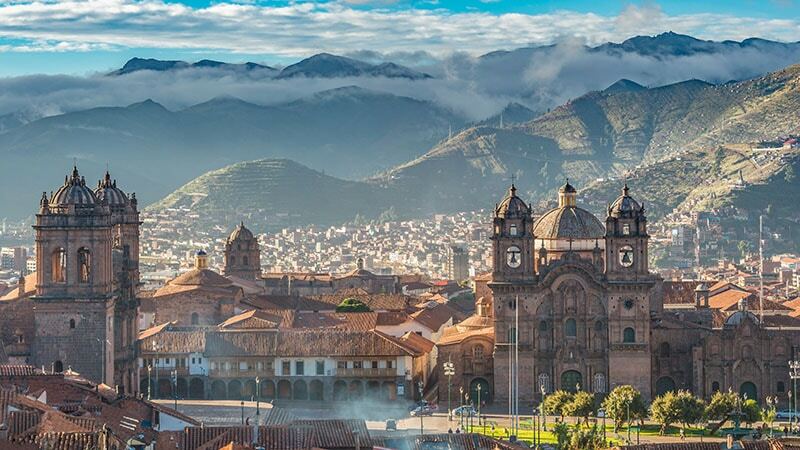 Once the capital of the Inca Empire, Cusco is known for its historical remains and colonial architecture. It is also the gateway to the Sacred Valley, an accumulation of high altitude villages and ruins on the way to Machu Picchu. 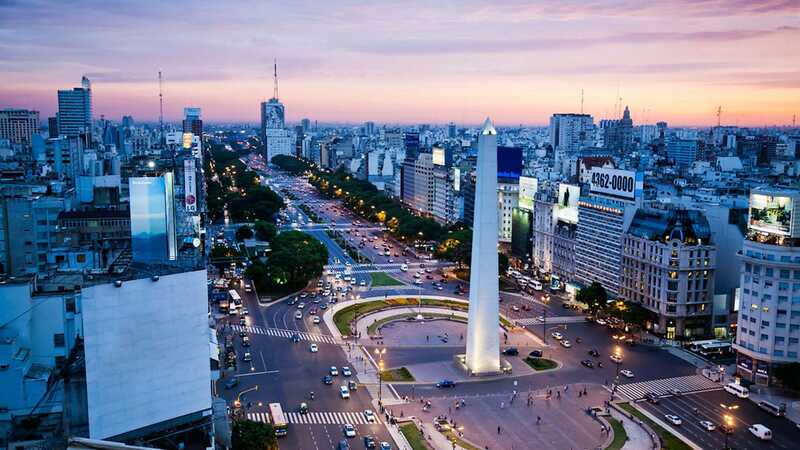 Buenos Aires is infamous for its juicy steaks and dancing. As the birthplace of tango, this city knows how to entertain. Whether you’re into electronica, jazz or are looking to perfect your moves at a dance salon; there is something for everyone. 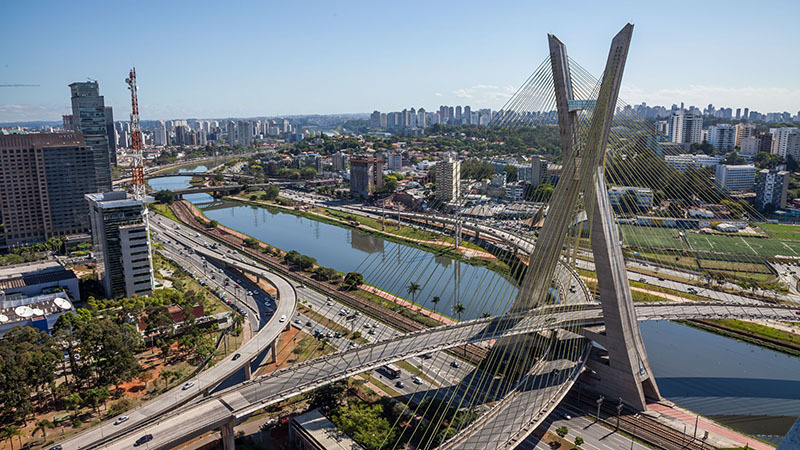 As the largest city in Brazil, Sao Paulo may first appear a bit overwhelming to newcomers. However, with a little help from the locals, you will soon discover all the hidden treasures this place has to offer. 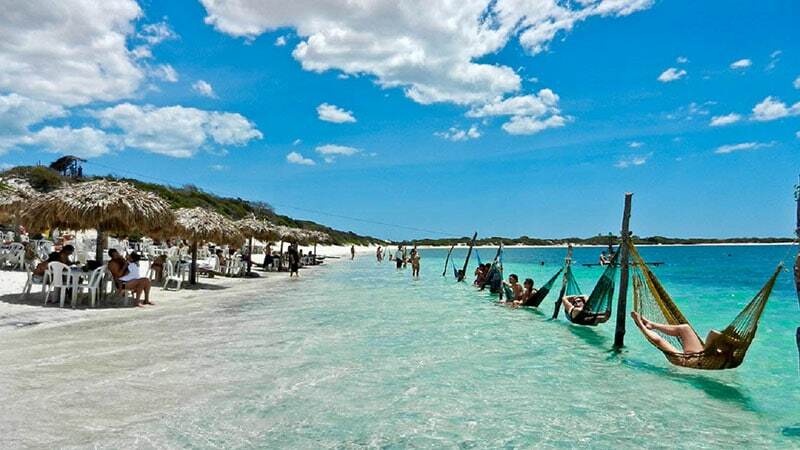 Jericoacoara is an idyllic fishing village and a mecca for windsurfing and kitesurfing. “Jeri”, as it’s known to the locals, is surrounded by numerous freshwater lagoons and a lush nature reserve with vast dunes. 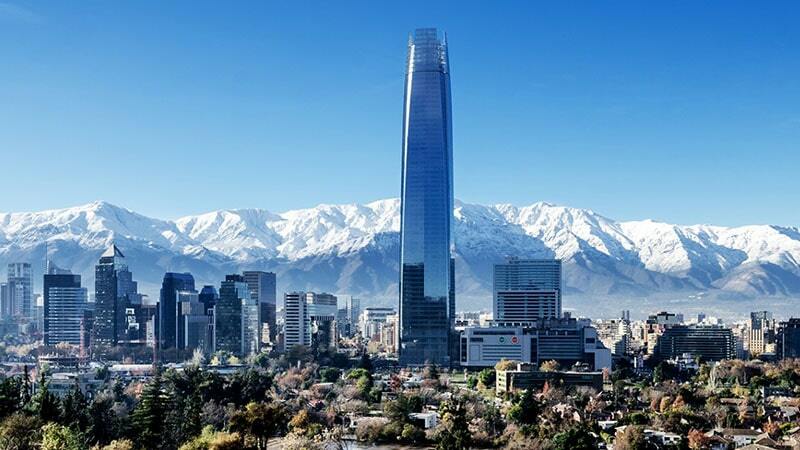 Santiago de Chile is one of those cities that are best explored on foot. Wander through picturesque neighbourhoods, admire the city’s grand architecture and let the day recede in one of the sidewalk eateries of Barrios Brazil, Lastarria or Bellavista. Bogotá presents an exciting destination for tourists who are looking to engage in the city’s vibrant, urban cultural scene. One of the go-to spots is the historic downtown neighbourhood, which features a melting pot of well-preserved 300-year-old buildings next to restaurants, hotels and bars. 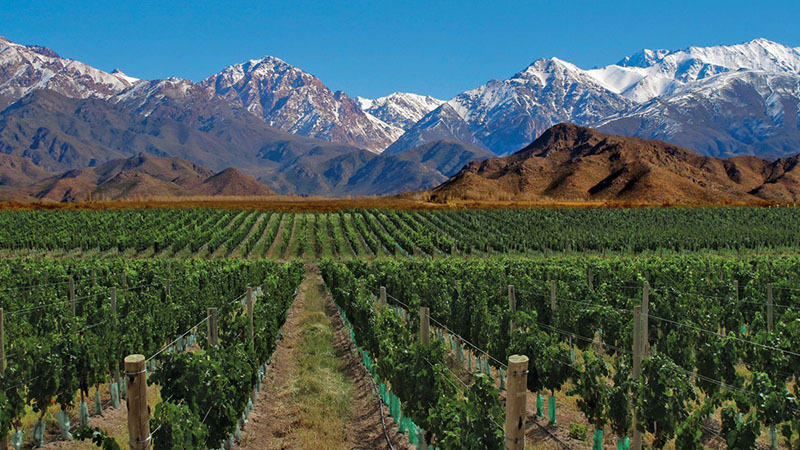 The world-famous Mendoza wine region features more than 1500 vineyards spread across its three main areas. With a gorgeous mountain backdrop, a trip to the region is a feast for your eyes and your taste buds. Baños is a gateway to the nearby Amazon Basin. 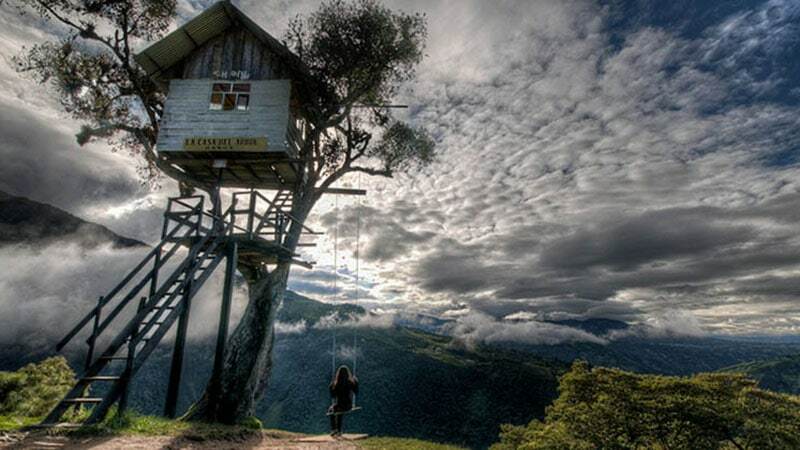 You can wander the tropical trails leading to the active Tungurahua volcano, relax in one of the mineral-rich natural hot springs or swing off the world’s edge on the infamous tree house swing.